We’ve had a blast with madre here. After we picked her up from the airport, we headed to Great Maple and the Hillcrest farmer’s market. 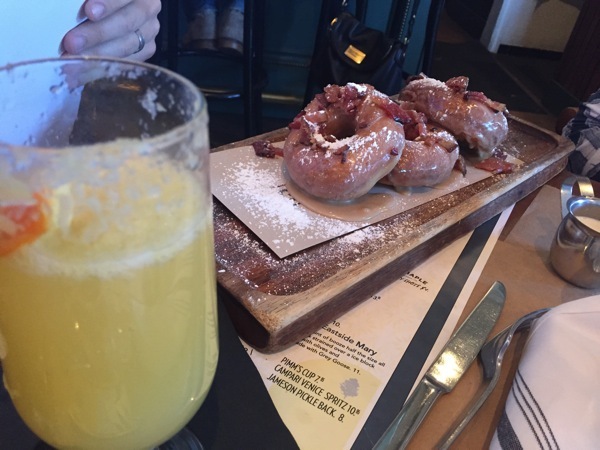 We walked around the market until it was time for our table to be seated, and then we enjoyed maple-bacon donuts, coffee and mimosas. I was really tempted to get the avocado toast again, but on a mission to not be boring and try something different, I rolled with the vegan hash + 2 eggs on top. It was GLORIOUS. There were potatoes, sweet potatoes, mushrooms, kale, tomatoes, and smoky Harissa. So so good. 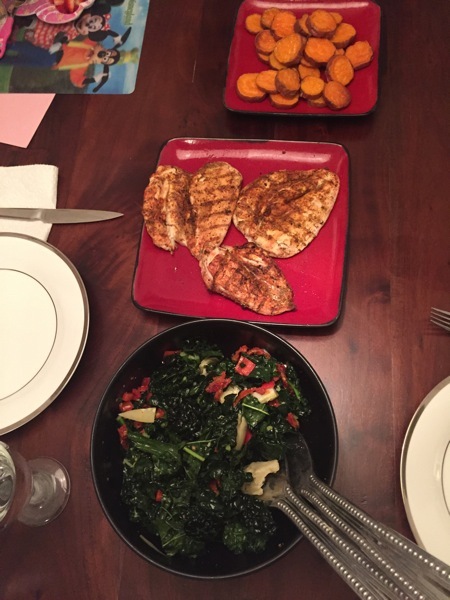 Since brunch was so filling, we kept it casual at home for dinner: grilled chicken (with cumin, coriander, garlic, salt, pepper, and ginger), coconut oil roasted sweet potato rounds with sea salt, and an impromptu kale salad, which was similar to this one. Today is Fat Fit Tuesday! 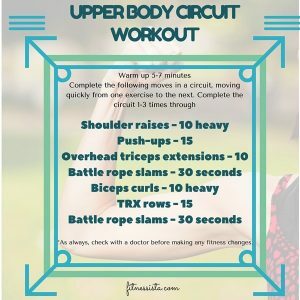 In the spirit of putting a little spin on day well-known for its “live it up” traditions, I put together a circuit workout. 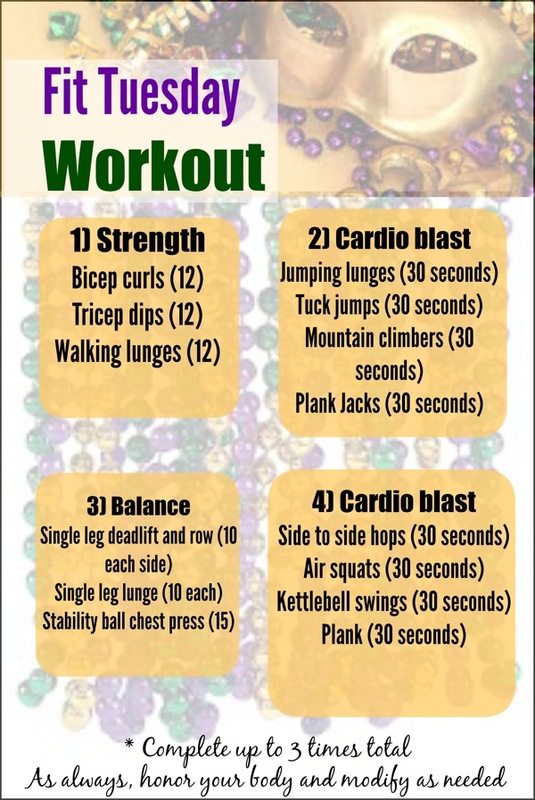 It has strength segments and cardio blasts, which is my favorite way to train. All you need is a pair of dumbbells! I generally do order my favouritEs from restaurants, and since I rarely go out to eat, I rarely get to try something new. sounds like you had an incredible weekend! Looks like a great workout! I am pinning this! I can’t EVEN handle the sight of those maple bacon donuts. O.M.G. They have to sell these somewhere in SF, right?? Maple donut has been my fave since I was a child, and add bacon? I can’t even!!! I am on a mission to find these…or make them myself (fry some bacon + get a maple donut?) Haha! hopefully you’ll be able to track some down. SF has to have them somewhere! I do tend to eat the same thing when I go to favorite restaurants. Sometimes I try to mix it up though! Love the workout theme – very clever. Have a great Fat Tuesday! 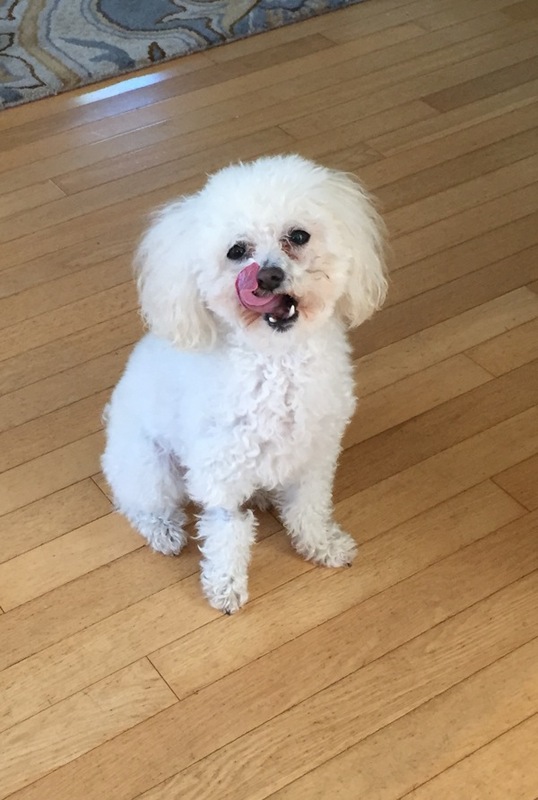 That yogurt bowl looks so delicious! I have to find some goat’s dairy to try! do you have a whole foods? they have the greek goat’s; it’s really good! We don’t have a lot of great restaurants where we live, in the rural Midwest. Most of the local ones are known for things like biscuits and gravy, lol. I think we’re lucky to have a pretty good Thai place, though, and I think I’ve tried almost everything on their menu. I have a tendency to order the same things. I do try to switch it up occasionally, but often go back to my favorites. Celebrating Fit Tuesday by doing my Workout 4 of WSU tonight! Those donuts!! Yum! I also love the idea of Fit Tuesday instead of Fat Tuesday. I had a hard time figuring what that was until I read below! I can’t below those are donuts! They look SO good! 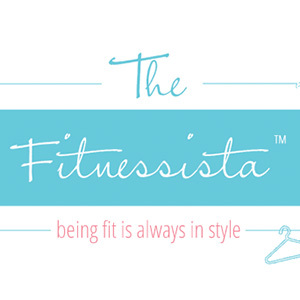 Can’t wait to try the Fit Tuesday workout! That vegan hash looks so good! 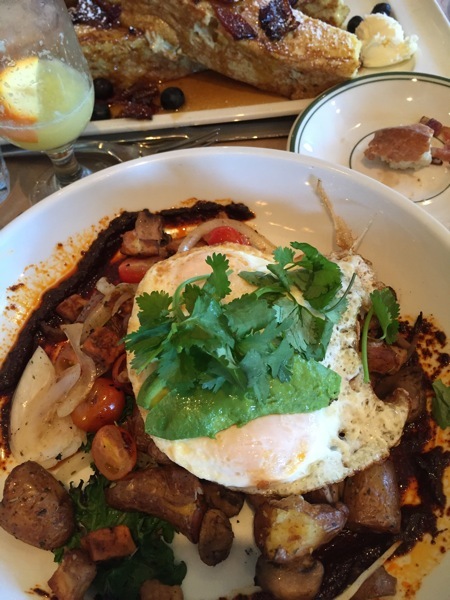 It’s amazing what poached eggs can do to enhance a food’s flavor! I’m totally the type that orders the same thing from a restaurant if I have a favorite. Otherwise, if I decide to branch out and try something new, I usually end up disappointed. 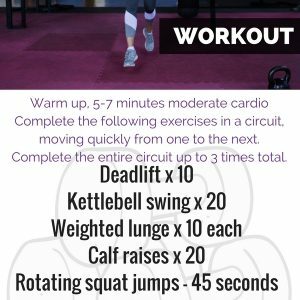 love the idea of a fit tuesday workout! Workout check in for today: Boot Camp class at 5:30pm at the YMCA! 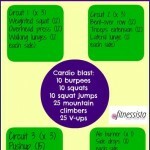 Your Fit Tuesday workout looks awesome too, I’ll have to try it later this week! I always get the same things I know I love at restaurants…my boyfriend is the “select at random,” so between the two of us, we get a bit of everything. 🙂 That vegan hash with the eggs looks amazing; kudos to trying out something different…and have it turn out delicious! I really love how you say “honor your body.” So true! Its hard to branch out from a favorite for fear of a let-down. That’s why I usually let the husband be adventurous and try his meals! That vegan hash looks so yummy. I am pretty predictable at most restaurants. I feel like if I don’t order the meal that I know I love, I will regret it after tasting a not so satisfying choice. My husband teases me, but I can always count on him to pull me out of my comfort zone and order new things! Had the EXACT same breakfast at Great Maple on Sunday–maple bacon donut + vegan hash w/ two fried eggs. Great Maple Minds think alike!! I just did some WSU workouts, but this one looks good for later. Have a great FIT Tuesday! That potato hash recipe looks great!. 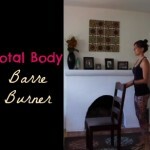 Checking in for this week’s giveaway, I’m going to do the Fit Tuesday Workout and some yoga. 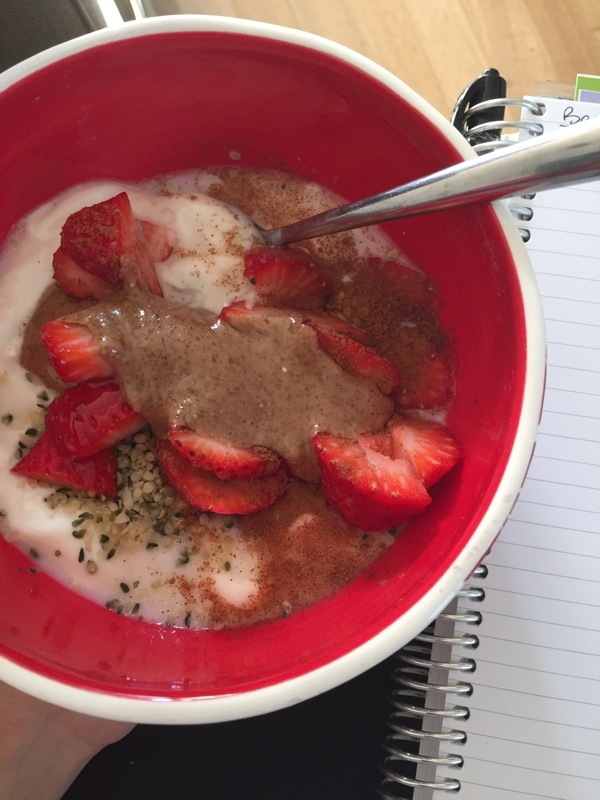 Question for ya: What’s a good protein poweder mix that isn’t too pricey? I’m currently trying the chocolate flavor or some whey protein, but does whey have negative effects on women’s health? At certain restaurants, I’m adventurous and try new menu items often. But other times, like at my favorite Thai restaurant, I just HAVE to have the same thing over and over again. The pad Thai at Joy Yee in Chicago is to die for. I get it with chicken and shrimp and limes, and it’s incredible. I don’t know if I could ever order anything else! I’m a TOTAL creature of habit at restaurants. I don’t think I’ve ever been to a Mexican restaurant, and didn’t order chicken fajitas. Like ever. 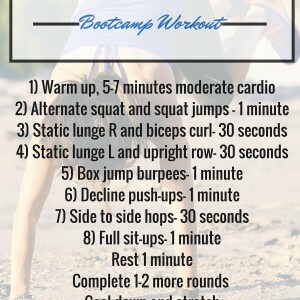 Looks like a great workout I will try soon! Loving this workout! I make my clients do something similar and they love it! I love that you incorporated balance into this routine. I’m always looking to hone my balance, especially in my legs, as I am a runner.